Austin Allen Harrison, 97, the winner of the 1998 Pioneer Broadcaster Award at Missouri Southern State University, died Monday, May 29, in Plano, Texas. 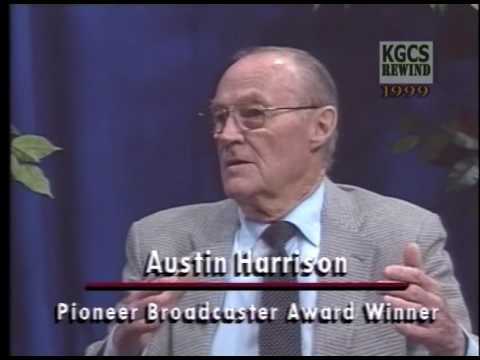 Harrison founded KSWM radio station in Joplin and KSWM-TV (now KODE-TV), also in Joplin. Harrison, born in Carthage, Mo., attended public schools in Carthage, graduating from high school in 1939. After World War II, at the age of 26, he returned with his wife and children to Jasper County to establish Joplin’s second AM radio station. It went on the air in 1946. In 1954 his television station went on the air, and two years later he sold it and entered private business in Joplin. The video below features an interview with Harrison by Judy Stiles, recorded in 1999.